Shipping costs to europe are beyond unacceptable. Complete trainwreck. RIP shipping costs to any non-USA location. A "warp to the dancefloor" shirt would be nice. Call me crazy, but how about a black t-shirt with "Eve Online" written on it? The inside-joke catch phrases will go down well at Fanfest, but I want a shirt that lets people know what flavour of nerd I am from across a room. 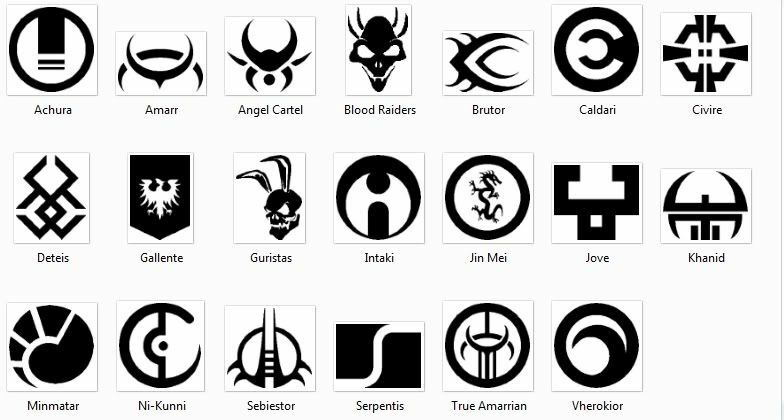 Just plaster the EVE Logo and factions on EVERYTHING and ANYTHING! Pens, mugs, stickers, lanyards, binders, key chains, sunglasses, shirts (all kinds please), etc. Would buy all of them in a heartbeat! Very nice. Glad to see the store back up. Get a EU Warehouse.. for shippingcost and tax reasons..
Get way more swag.. shipmodels... posters.. stickers.. velcro patches.. all the cool stuff. Are the people running this store literal criminals, or merely incompetent? I see nothing unique or interesting, almost all the items are generic ones with some EVE logos printed on them. I can get similar from a local shop that allows printing of custom designs. Who thought this was acceptable and worthy of such a great game as EVE online? I'd like to see more unique items related to the world of EVE. Not just a beer tankard or t shirt that someone has printed EVE onto. How unique is that??? You're previous store was much better and had unique items such as custom clothing styled in the theme of EVE online plus books and merchandise that fitted within the lore of EVe. And don't even mention shipping costs, really come on CCP you can and should do better than this! The shipping fees to EU are completely unacceptable. For reference, I had a look at one of your partners from way back, jinx. An equivalent priced t-shirt has a shipping cost to the UK of ~$12. Your new partners are crooks. Faction logo and ship graphic vinyl clings for windows, laptop lids, or other smooth surfaces. Something durable and repositionable rather than just stickers (which are awesome too, I just want more options). Expand mug/glass/thermos/etc options to cover more factions - no reason why I should be able to get a angels pub glass but can't have an amarr empire one. Probably could be done as a dropdown inside the pages for each cup type rather than cluttering up the main store page with 70 or 80 different versions of cups. I clicked on the archon keychain thinking it was pewter and was sad to see that it was not. I would totally buy a pewter kestrel keychain fob. A simple EVE logo T-shirt is an obvious addition - I was surprised to not see one as an option. I'm assuming that for those shipping fees an actual Nyx delivers them to my door, accompanied by a cargohold full of exotic dancers?